MIAMI (CBS/AP) Jamaica may be known for its marijuana-infused culture, but one of its biggest reggae stars, Buju Banton, was busted last week for attempting to buy cocaine from an undercover officer, according to federal authorities. 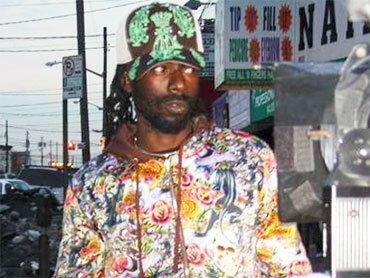 Banton, a Grammy-nominated artist whose real name is Mark Anthony Myrie, has been in U.S. federal custody in Miami since Thursday. He faces a charge of conspiracy to possess with intent to distribute more than five kilograms of cocaine. According to court documents, Banton and two others contacted a police informant last week about buying cocaine in Sarasota. Drug Enforcement Administration agents say Banton negotiated the purchase and was observed inspecting cocaine offered by the undercover officer. The other men were arrested Thursday when they allegedly attempted to buy the drugs. An e-mail to Banton's independent record label was not immediately returned Monday. Banton's MySpace page can be found here.